The World’s No1 Eric Clapton Tribute Band will be making a welcome return to The Customs House in June after a gap of five years. The band features front-man Mike Hall who not only looks like Eric, he sings and plays guitar like him too! They were formed in 1985 in Newcastle and named themselves ”After Midnight” after Eric Clapton’s first solo hit. In the past 34 years they have become one of the best-loved bands on Tyneside. Tyne Tees Television made a documentary about them called “Cover Their Tracks”. The programme was shown in August 2000 and received rave reviews, leading to national recognition. CLASSIC CLAPTON comprises 4 excellent musicians who stunningly recreate Slowhand’s electrifying stage performances. The whole of EC’s illustrious career is covered including Cream, The Bluesbreakers, The Yardbirds, Blind Faith, Derek & The Dominos and the solo years. 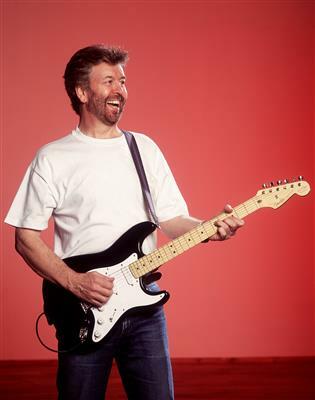 CLASSIC CLAPTON have toured throughout the UK including numerous sell-out shows. They have appeared at The Royal Festival Hall and Glastonbury Festival where they were a major success. In the past few years they have played numerous concerts in Europe including Spain, Estonia, Holland & France. In 2009 & 2016 they toured India. In March 2017 they appeared in Colombo, Sri Lanka. This will be their seventh visit to The Customs House. Most of their previous concerts sold out. Fans are therefore advised to book early. The show is a 2-hour journey through the music of Eric Clapton including all of his hits – Wonderful Tonight, I Shot The Sheriff, Lay Down Sally, Crossroads, Tears in Heaven, Layla and even an Unplugged segment.